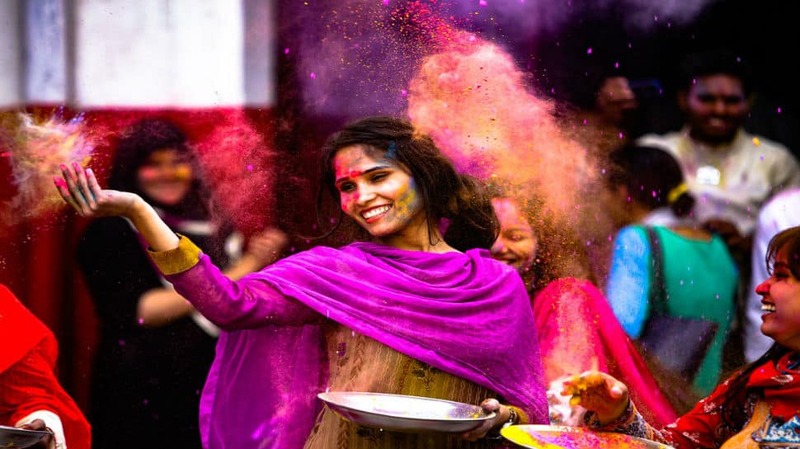 India united in colourful hues to celebrate Holi, the festival of joy. People from across the country moved past artificial barriers like race, religion, colour and creed to wish one another. 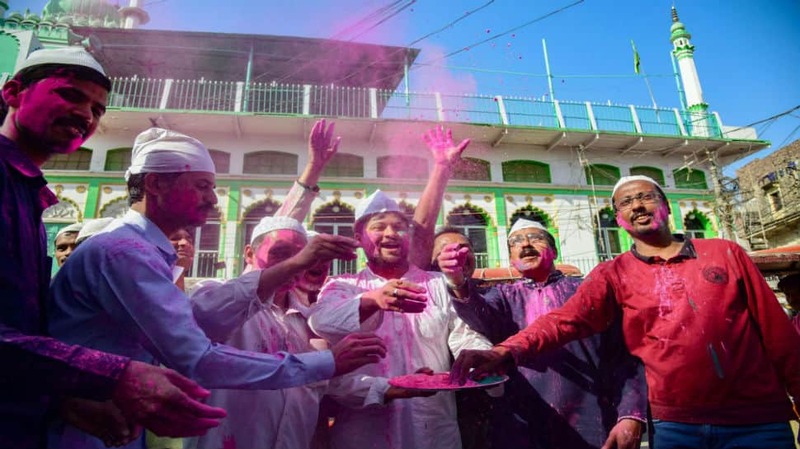 Members of Muslim and Hindu communities celebrate Holi in front of the Jama Masjid in Prayagraj. Colours flowed freely on the streets of Chennai as well. 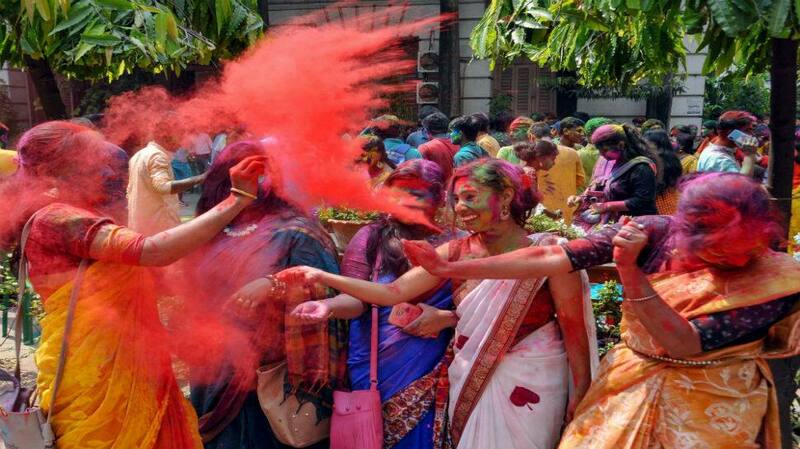 Women celebrate Holi in Kolkata. 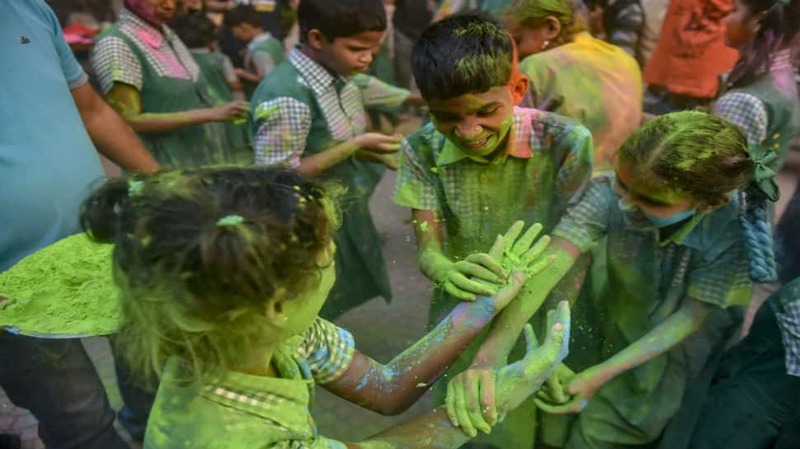 Children in Mumbai engrossed in painting each other with gulal. 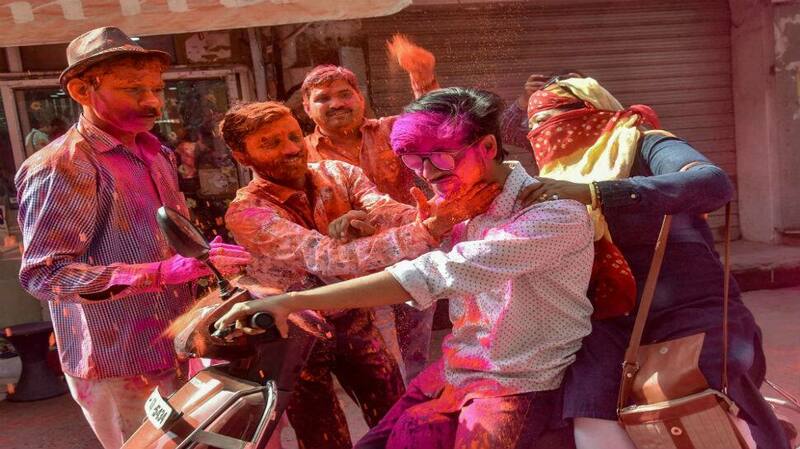 People smear gulal on each other in Lucknow. 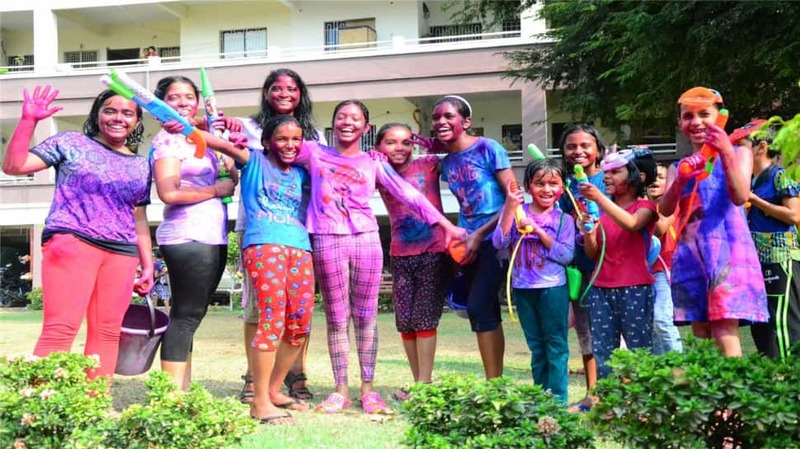 Children just could not say no to playing Holi despite the exam season. This is a photo from Nagpur. 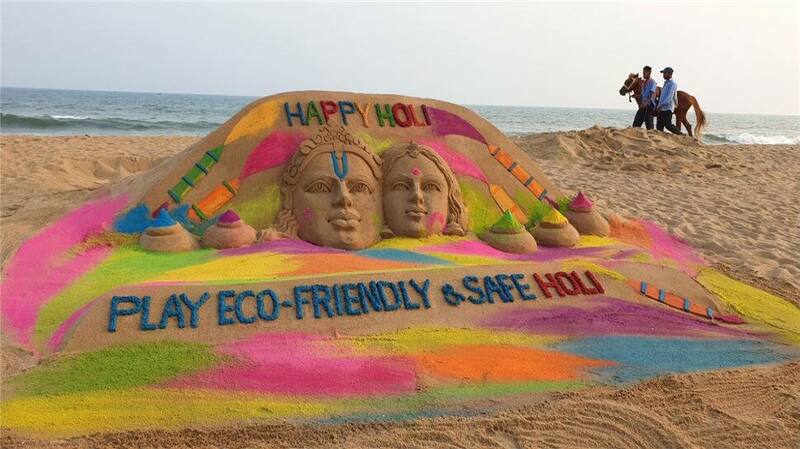 A sand art urges people to play an eco-friendly Holi. 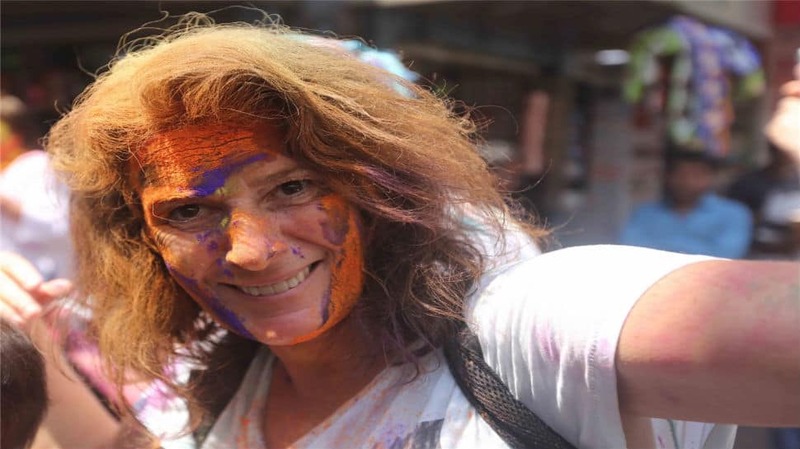 A tourist plays Holi on the streets of Kolkata. 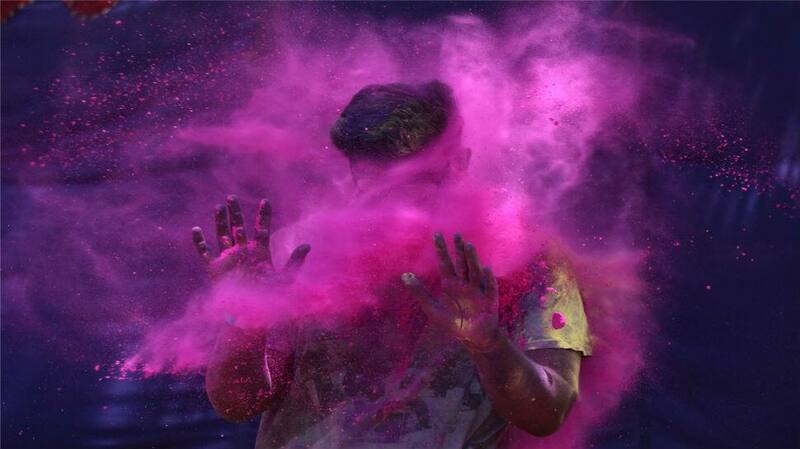 Holi is not just celebrated by Indians and in India but in many parts of the world by local communities.